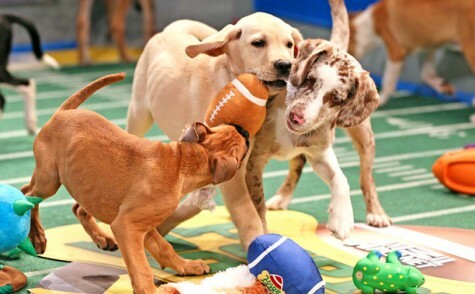 Puppy Bowl: Cutest Starting Lineup Ever? For the past decade, millions of Americans have passed on the biggest football game of the year to watch something way cuter. By now it’s an established fact: Television doesn’t get much more adorable than puppies. “Puppy Bowl,” Animal Planet‘s alternative programming to the NFL’s Super Bowl, is the sublime result of pairing a bunch of wiggly puppies — 66, in fact — with squeaky toys and a mini-stadium set. Add a “rufferee” and a kitty-filled halftime, and every floppy tackle or slobbered-on football inspires an unintelligible burst of baby talk. Here’s the lineup. Which Pooch Deserves A Fido?